Size matters, and it was Shenzhen's larger financial muscle and population that saw the Chinese city secure a 10-year deal to host the WTA Finals after Singapore's contract as host ends this year. A record purse of US$14 million (S$18.5 million) will be offered next year - double the current US$7 million - making it the richest tennis tournament outside the four Grand Slams. That, coupled with Gemdale Corporation's pledge to build a new US$450 million facility that includes a 12,000-seat stadium, would bring the total investment to almost an estimated US$1 billion for the Women's Tennis Association (WTA). The Chinese real estate developer had submitted the winning bid and it is headquartered in Shenzhen, which has 11 million inhabitants and is part of the Pearl Delta River area, which has a population of 68 million. WTA chief executive Steve Simon yesterday hailed the move to China as "obviously a very significant deal", while former world No. 1 Maria Sharapova praised Shenzhen for being "willing to invest in women's tennis" and being "the ones that put the money on the line". But while the loss of the WTA Finals - held here since 2014, with this year's edition taking place from Oct 21 to 28 - has left a gap in next year's sports calendar, Deloitte Singapore and South-east Asia sports business group leader James Walton said it would not have made sense financially for Singapore to try and match or outbid Shenzhen. He noted:"There are enough good sporting events already happening in Singapore and that money could be spent on bringing other exciting sporting events here to broaden the calendar." People still see Singapore as a prime destination. When we bid for Formula One, we leveraged Singapore's reputation - Singapore Inc. Then we used Singapore Inc and F1 when we bid for the WTA Finals. Every time we do something like this (bring in marquee events), the Singapore record speaks for itself. MR LIM TECK YIN, chief executive of Sport Singapore. CIMB Private Banking economist Song Seng Wun agreed: "We need to bear in mind that Singapore is tiny and, from a business standpoint, there is just a lot more that the franchise owner can get from the extremely vast Chinese market." China has nine WTA tournaments scheduled for this year, a big jump from the two events it staged during the 2012 season. Mr Walton noted that the offerings for marquee sport events are "a lot more robust than when the WTA Finals were first held here", and he was confident that Sport Singapore (SportSG) and the Singapore Tourism Board "have a lot of ideas in the pipeline about how to keep the calendar fresh". Mr Lim Teck Yin, chief executive of SportSG, also remained calm, telling The Straits Times that "it is still early in the game, and we want to discuss with our stakeholders to see which way we should go". "Do we want to go really high-end? Men's tennis? Or men and women together?" he said. He also insisted that hosting the prestigious season-ender has reaped benefits in growing the sport here. SportSG launched the ActiveSG tennis academy in July 2016 with one centre in Kallang and 300 students. There are now five centres islandwide with more than 2,700 participants. 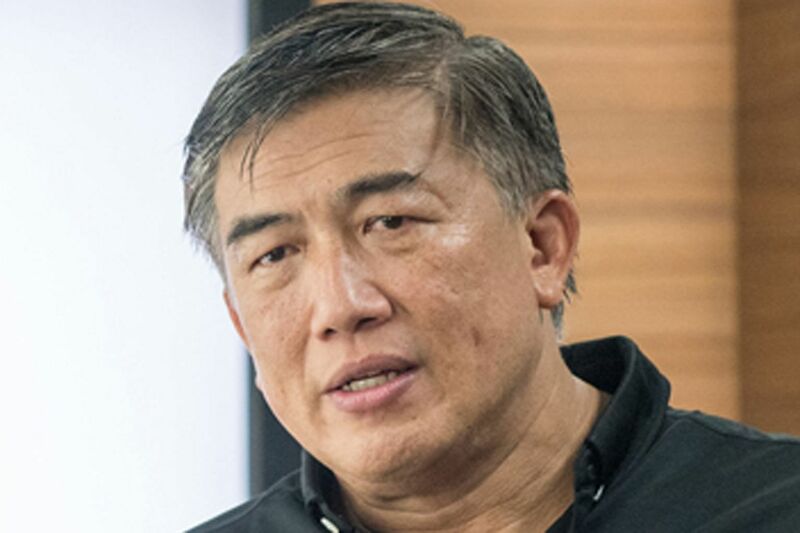 Mr Lim is confident that the country's reputation has not been hurt despite the loss of the WTA Finals. He said: "People still see Singapore as a prime destination. When we bid for Formula One, we leveraged Singapore's reputation - Singapore Inc. Then we used Singapore Inc and F1 when we bid for the WTA Finals. "Every time we do something like this (bring in marquee events), the Singapore record speaks for itself."